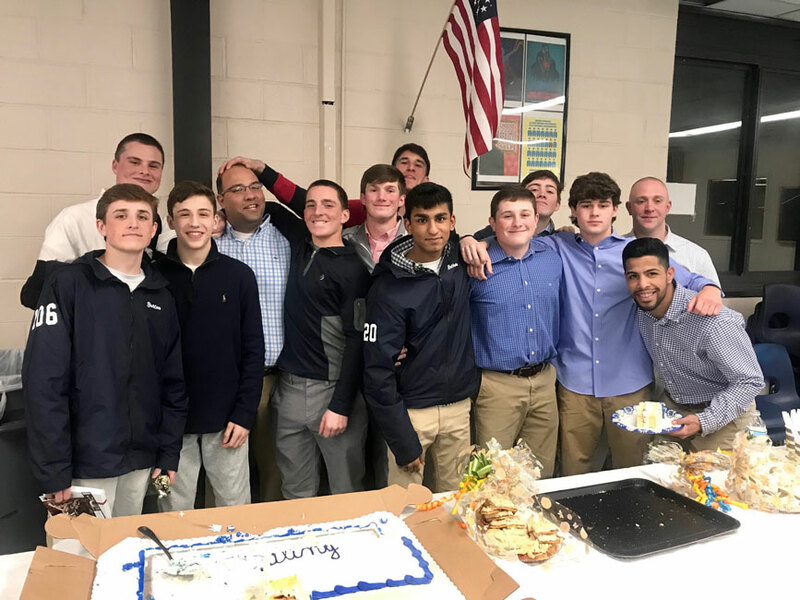 Huntington varsity wrestlers with their coaches at the recent reception. Team members gave the sport everything they have and battled to the final whistle. When all was said and done Tazadon Smith won the league title and went on to place third in Section XI and Joe Petrone finished third in the league and fifth in Suffolk. Huntington’s Billy Burton won the league title and Robbie, Aedan McDonald and Samir Rathore were all league runners-up. 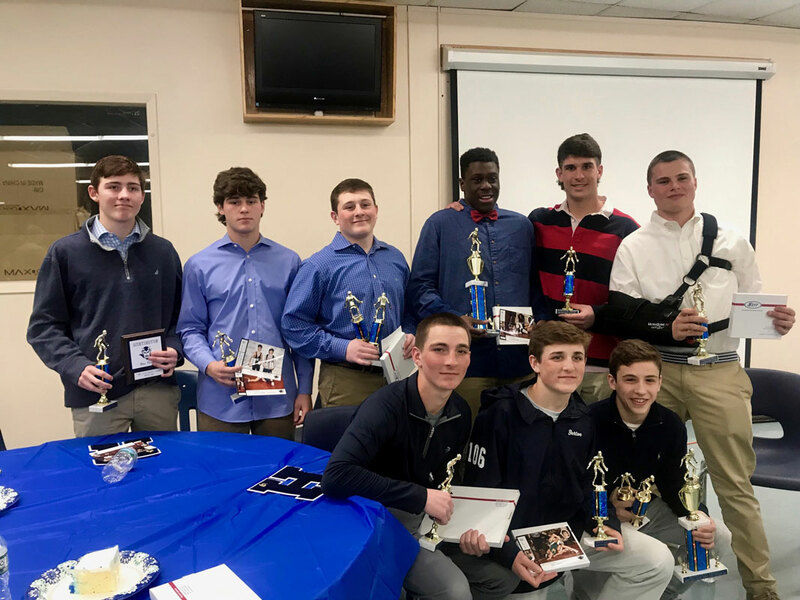 Head coach Lou R. Giani and assistant coaches Kieran Mock, Omar Santiago and David Bergmann were pleased with the effort put forth by the wrestlers, who were recognized with varsity and junior varsity letter awards and a series of special honors that were also presented. The Blue Devils were captained by Petrone, McDonald and Burton. All of the award recipients are returning next winter. The wrestlers gathered together for a series of photos near the end of the evening and everyone went home happy. Huntington wrestlers were presented with awards during the recent reception. 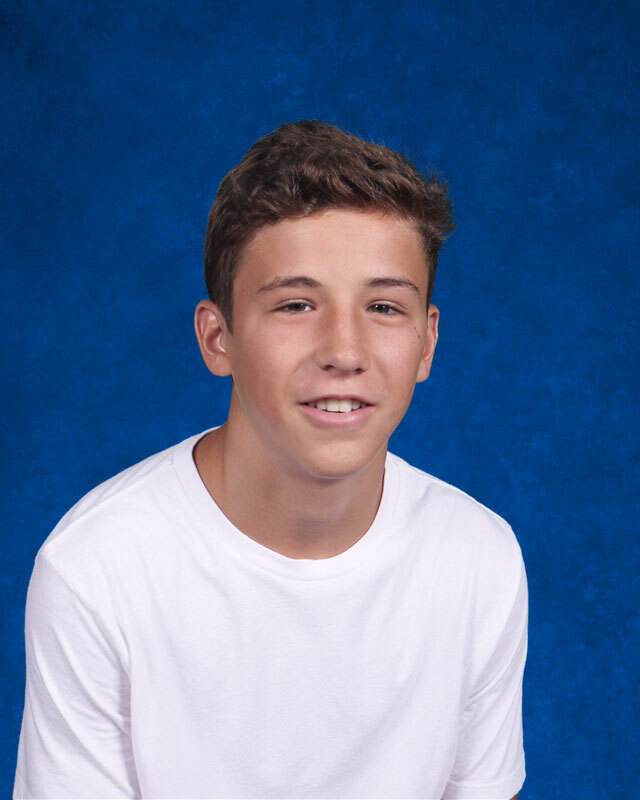 Huntington sophomore Joe Petrone finished fifth in the Suffolk wrestling championships.